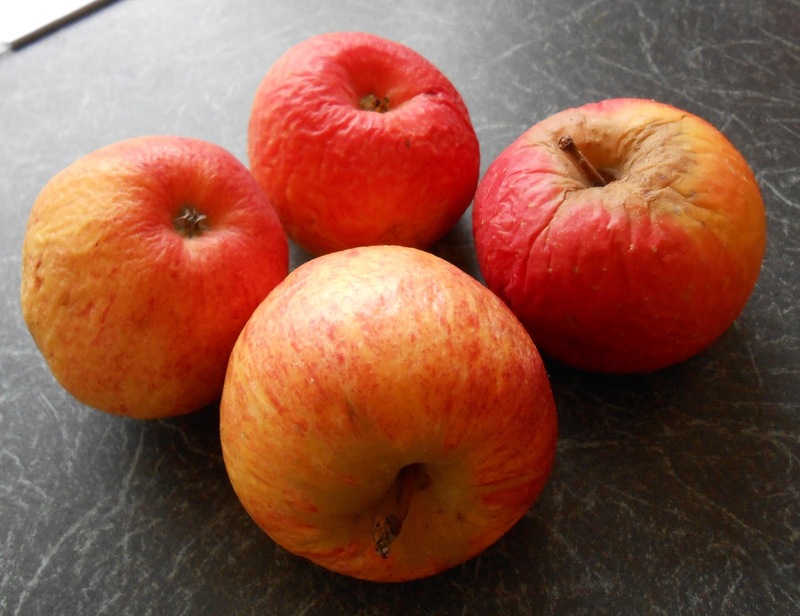 What to do with withered apples? I have to say they stored well in my wooden fruit bowl and although now wrinkled and drying out they were still edible. Apparently, last week was Bramley apple week but I never got round to buy any, let alone make anything with them which is a pity because Bramleys are the best cooking apples. My withered apples were the Gala variety and as I loath wasting food I just had to do something with them. I found a recipe for a cake tray bake and using a bit of adding, subtracting, dividing and multiplying and a few additions I was able to create a recipe that was gluten free and happy with different kinds of fruit. My maths teacher would have been proud! 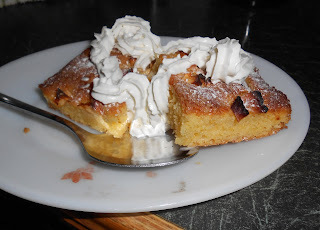 I cored and chopped the apples but left the skin on and tossed them on top of the cake batter. The result was a scrummy cake, especially with squirty cream...yum! 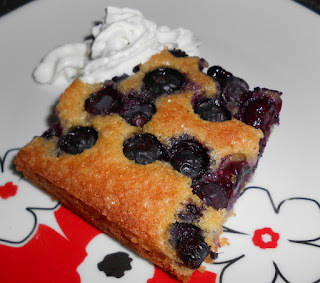 Blueberries work well too and my family love the cake so it was a bit of a scramble to get my fair share. Honestly! 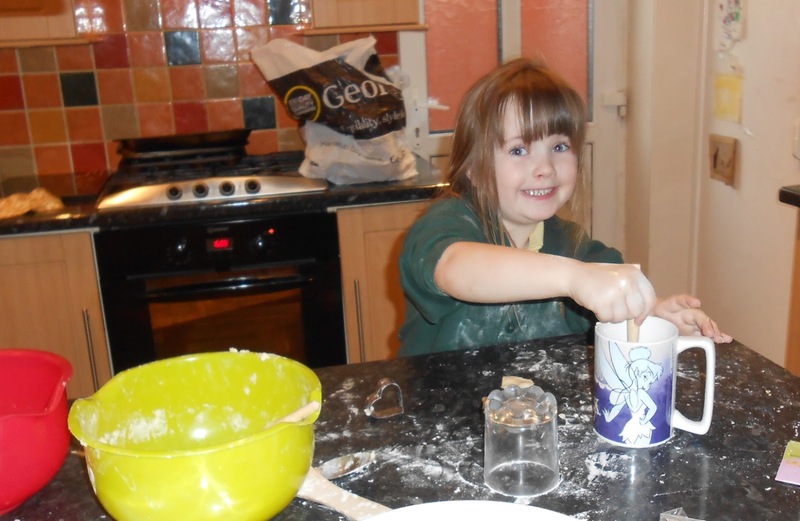 You would think they would consider who baked the cake in the first place...never mind she says, smiling. I'm really enjoying the discovery of baking all over again and experimenting with gluten free recipes makes it an exciting challenge. I bought a blank recipe book from Home Bargains the other day for only £1.99 or something near. Ridiculously cheap anyway. 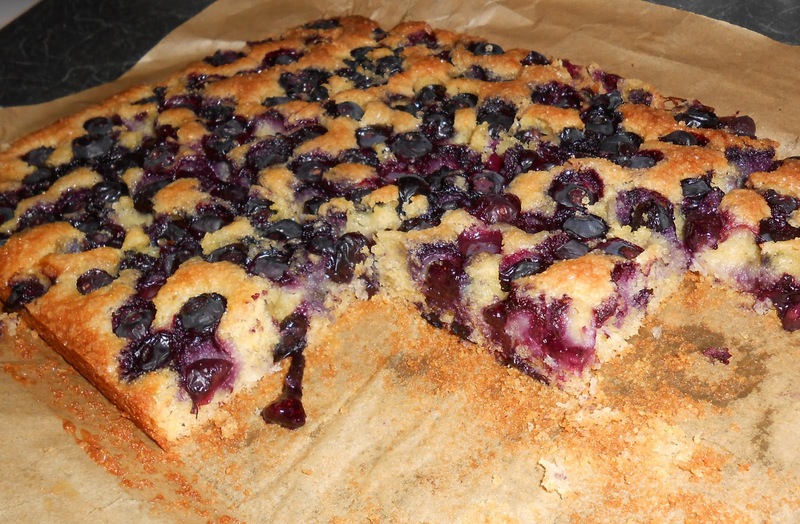 I have called it Nana's recipe book and aim to fill it with tried and tested family recipes, some of which I will enjoy making with my grandchildren. 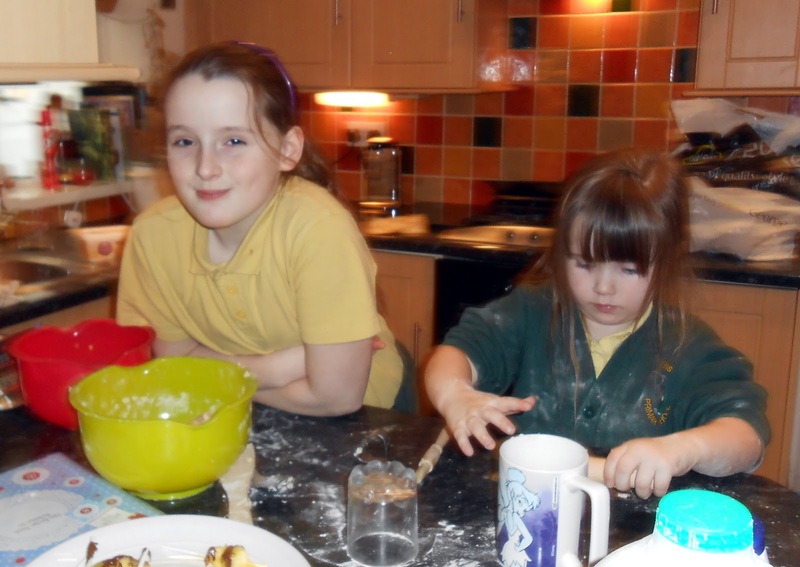 My first entry was a recipe for cheese scones which I made with the help of granddaughters Natalie and Jasmine...did I say help? 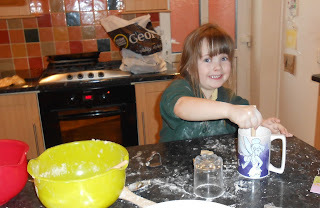 Mum wasn't about so we had great fun making a mess on the breakfast bar. There were some squabbles as to who did what and I had to play referee at times but it was all worth it. Amazingly, these scones had no egg in the mix and in the mayhem I forgot to add baking powder but I was amazed at how they turned out. 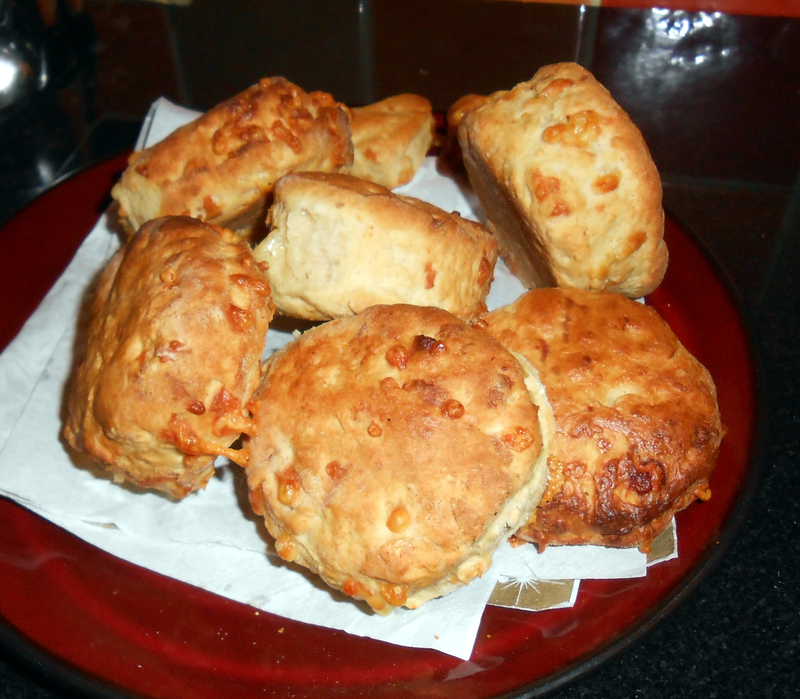 They were the best cheese scones I've ever made. So maybe I shouldn't have been adding egg all these years. Natalie showed her appreciation by spreading hers with jam! Cheese and jam scones??? There's no accounting for taste! I suppose the added bonus was that the girls washed up and dried afterwards. What more could a Nana ask for? The scones were meant to be for Dad but I'm not sure he managed to get any. Next playtime, the girls and I will make a scrapbook page about our baking fun afternoon. That should be fun...smile. brilliant Carolyn and so much fun to do with the grandchildren.